Looking for a romantic escape or luxury honeymoon? These top 10 most romantic islands in the world are end to your quest to spend some quality and unforgettable moments with your beloved. If you are listening to the song "Jaded" by Aerosmith and looking for inspirations to rekindle the cherry in the eyes of your spouse or if you have just got hitched and want to gift your better half the finest of romantic moments for an eternally ingrained beautiful beginning, then these islands at some of the most stunning locales across the globe is where you should head to. From the Indian Ocean to Mediterranean, we have compiled the list of top 10 most romantic islands in the world and we bet that just a look at these magnificent places in the world will make you go WOW! 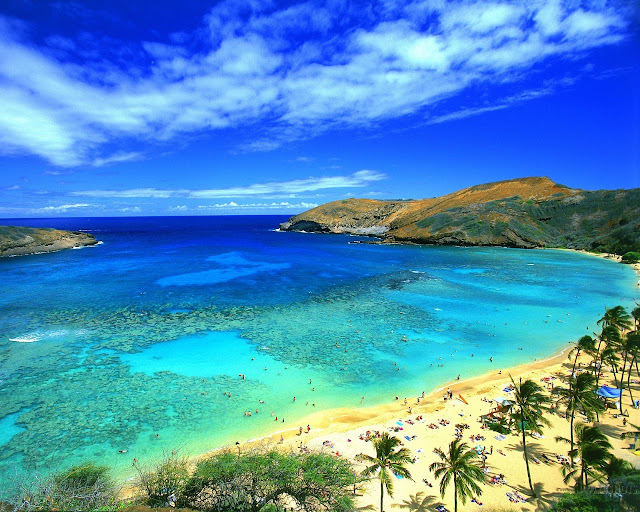 Become castaways but don’t be a Tom Hank at these paradise …just accompany the love of your life! Did you know that there is one apparently beautiful Island near Venice is considered one of the most haunted places in the world? Head to these awe inspiring, spectacular escapades when you plan your next romantic getaway. Some of these are considered to be the playgrounds of rich and the famous where as others are spectacular wonders of nature offering an array of activities to indulge in. These are probably the best for honeymoon and romantic getaway. Without further ado here comes the top 10 most romantic islands in the world in no particular order. Maui has been voted “Best Island” by readers of Conde Nast Traveler for seventeen years a feat which speaks volume about the treasure troves this tiny emerald has hidden under its bosom. From its heavenly beaches to its scenic natural wonders to watching the sunrise atop and from hike to the stunning 400-foot Waimoku Falls in East Maui to meeting the locals at Maui’s small towns, on Maui there is a wealth of unique adventures to discover off the beaten path. It’s a place where romance knocks on every door that you open and every vista that you behold and it takes just one visit to this lovely island and you’ll see why falling in love comes so naturally here. Maui’s alluring beaches and immaculate resorts has made it one of the top romance, honeymoon and wedding destinations in the world. This just might be the perfect destination for your honeymoon. The island allures honeymooners from all over the world, even Hollywood stars. Pristine beaches, translucent lagoons; crystal clear coral atolls offer amazing underwater experiences. Recently awarded World’s Most Romantic Destination and sitting just one meter above sea level in the Indian Ocean, the Maldives are an archipelago of 1,190 coral islands grouped into 26 coral atolls (200 inhabited islands, plus 80 islands with tourist resorts). 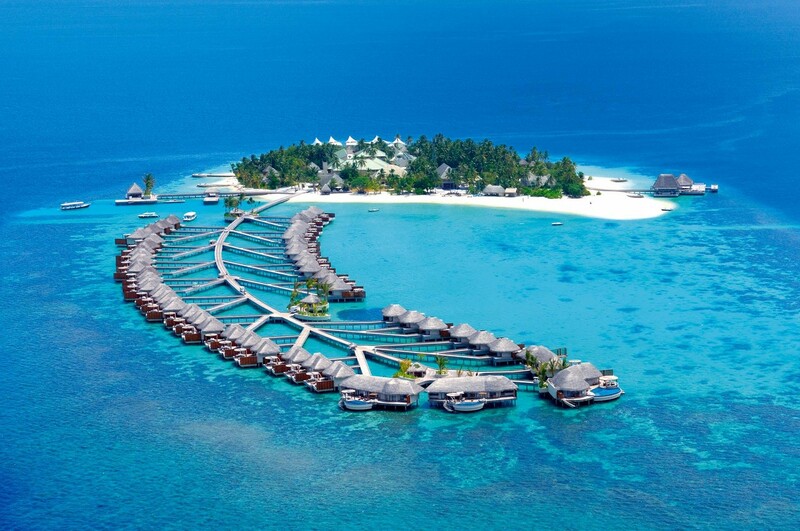 Perhaps the best long haul luxury and romantic travel destination, Maldives is Asia’s smallest country, one of its most exclusive (and expensive) too, the perfect place to come and relax, sip cocktails, swim in turquoise waters and enjoy the company of your loved one. Under a one hour flight from the island of Tahiti, the island of Bora Bora, with a lagoon resembling an artist's palette of blues and greens, is love at first sight. 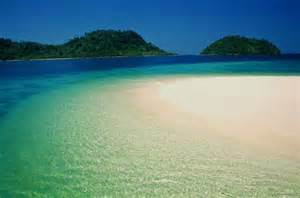 Perfect white-sand beaches give way to emerald waters where myriad hued fish animate the coral reefs. Considered one of the most romantic island destinations in the worlds, Bora Bora delights you with its dramatic scenery, privacy and amenities of the overwater bungalows, you wonder if there’s a score of 100 on a scale of 10 to rate this paradise. 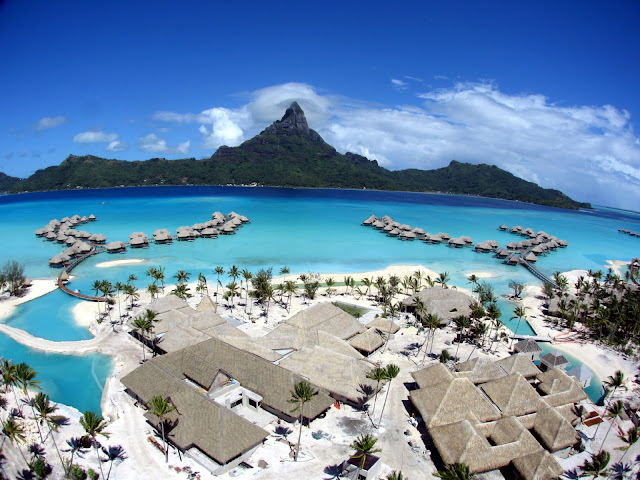 Catering to romance and honeymoon seeking couples for nearly half a decade now, the hospitality standards of Bora Bora have attuned to perfection and could be described as the heart of the romantic universe. Discover paradise by visiting Koh Lipe, a secluded island hidden in the waters of the Andaman Sea. This jewel of Thailand will mesmerize you with the beauty of the sea, the coral reefs and the exotic marine life. It’s corals, turquoise water and glittering beaches has given it’s another name which is not easy to earn and it’s not for nothing that this island is often called the "Maldives of Thailand". It is the smallest island in Thailand, consisting of three main beaches: Pattaya, Sunset and Sunrise Beach, and together they form the shape of a boomerang. It is so small that you won't need to rent any motorized vehicle and you can walk around the entire island in one hour. Snorkeling and diving are some of the activities to keep you occupied here. Although not for long in tourism scene, the industry is starting to grow and more and more tourists are coming here to escape from daily life. 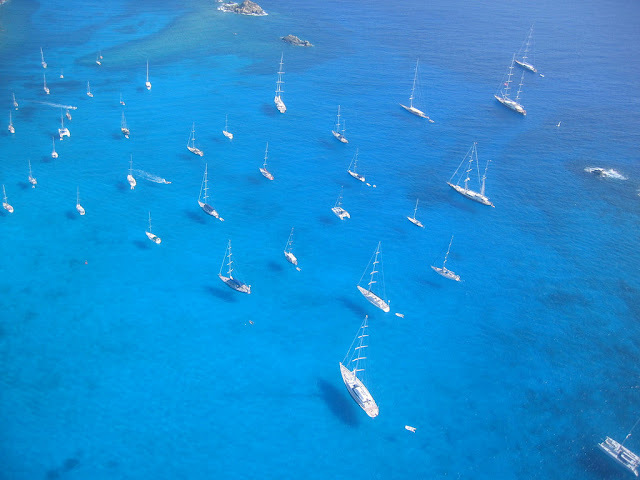 A renowned playground of the rich and famous, which gives the island its high-end vibe, St Barts (officially Saint Barthélemy) is a stunning volcanic island fully encircled with coral reef. This spectacular French West Indian island is home to an eclectic mix of iguanas and night-blooming cactus along with fabulous beaches, gourmet dining and designer boutiques. 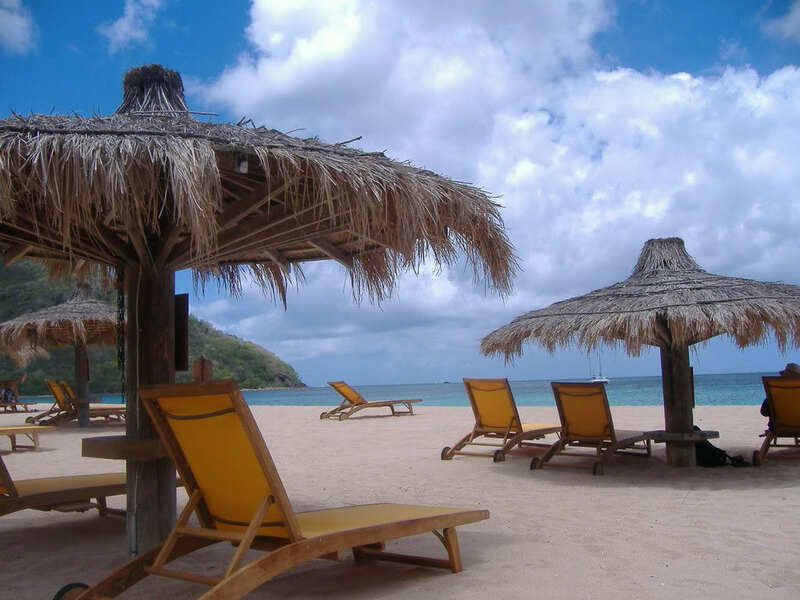 The spectacular St. Barts could enliven and enthrall honeymoon seekers and romantic couples with its white sandy beaches, great snorkeling locations and a unique shell museum. The island is thronged by the who’s who in the world with largest such convergence occurring on New Year’s Eve. There are only a few hotels in St. Barts with most of the accommodation available in form of private residences. More than 70,000 visitors arrive here every year which has also led to rising accommodation price with beachfront villa costing a whooping €61,200,000. 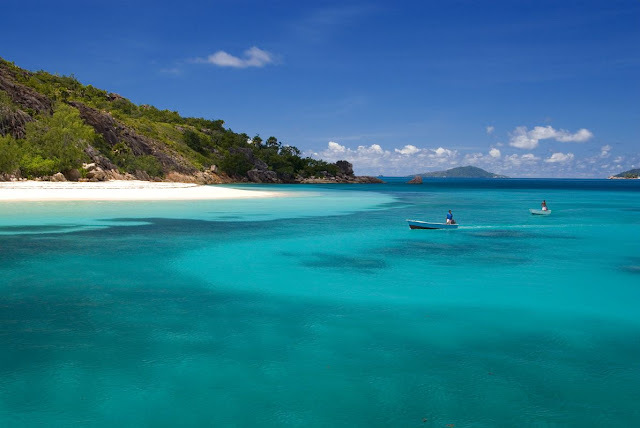 The Seychelles are made up of 115 granitic and coralline islands scattered in the blue waters of the Indian Ocean. The authenticity and the natural environment of these islands, make it a perfect setting for honeymooners and tourists alike. Seychelles is the stuff romance and excitement is made of. Pristine beaches, unbelievable rock formations, scintillating coral reefs and scenic landscapes add to the romance and appeal of this place. The setting of Seychelles makes it a perfect place for exciting water sports like scuba diving, windsurfing or just observe the underwater attractions by snorkeling. The island is also home to 2 UNESCO World Heritage Site: Valle Dei Mai in Praslin and Aldabra. A unique range of endemic species has evolved in the archipelago and this biodiversity is protected within these two sites. There are many other notable Nature Reserves and National Parks too where one could witness the impressive biodiversity of Seychelles. An ancient island and a geological caldera, Santorini in Greece is the site of an enormous volcanic eruption which both destroyed and made it a paradise it is today. Here, everything is brighter: the whitewashed cube-shaped residences framed by bougainvillea, the lapis lazuli sea, and the sunsets that light up the ancient volcanic crater, a sight so surreal that it could mesmerize even the most jaded of travelers. Best known for its spectacular sunsets, Santorini’s true appeal lies in variety of experiences. 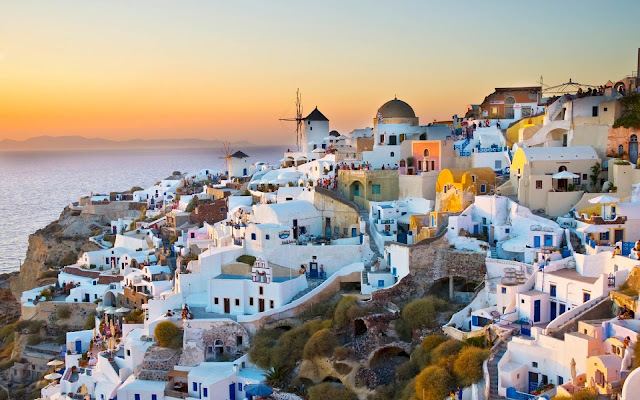 The activity here could range from wine trails at small but flourishing wine industry, exploring black beaches, and exploring Santorini’s ancient heritage by visiting archaeological sites from the prehistoric era. Renowned for the iconic Pitons that rise above the Caribbean, St. Lucia is so much more than an idyllic beach destination. Reached mostly by cruise, St Lucia offers an eclectic mélange of tropical rainforests, rolling hills giving way to volcanic mountains and pitons rising up from the waves which have been the backdrop for many a romantic getaway and unforgettable honeymoon. Do look out for the amazing biodiversity of this tiny island in Caribbean with visits to Sulphur Springs, Botanical Gardens and Pigeon Island National Park. Lacing their way up the west coast of Fiji, the Yasawas are a chain of 20 ancient islands famous for crystal blue lagoons, rugged volcanic landscapes, abundant sunshine and some of the Pacific's most ethereal beaches. Snorkeling, swimming and diving are avidly pursued owing to wide banks of coral around most of the islands. Backpacker lodges have dominated accommodation options in the Yasawas for many years but a new wave of mid-range and top-end options are making appearances, so families and couples looking for creature comforts and pampering are now well-catered for. Located in Zanzibar Archipelago, Tanzania, the beautiful Mnemba Island is surrounded by oval reefs and is a declared Marine Conservation area. 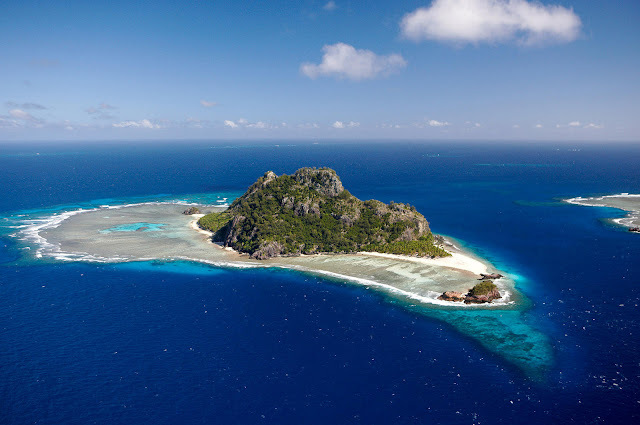 This small, private island (owned exclusively by Conservation Corporation Africa) is a popular destination for scuba diving owing to the great diversity of corals and marine species. One could also spot green sea turtles and dolphins and larger species like humpback whales and whale sharks in their natural habitat at Mnemba Island. And even more exciting and thrilling, you can swim along with whale sharks, the world's largest fish. Mind you the exclusivity and special status as well as the fact that it is a private and protected island, it’s expensive to have a romantic getaway here. But all things considered who doesn’t want an unforgettable honeymoon or a romantic break in one of the most exclusive islands in the world.